Lights, camera, action—Make -A- Movie Parties provides a cool, unique idea for your child’s next birthday party. 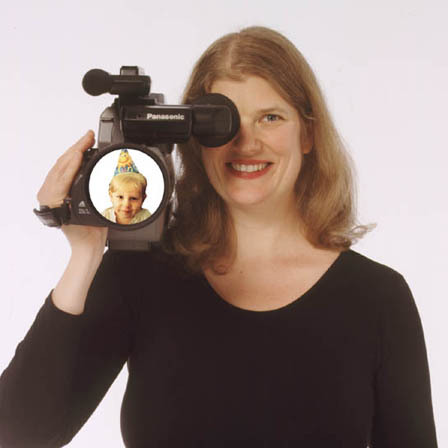 Katherine Perry of Make-A- Movie Parties creates a movie set for your child and friends in the comfort of your home or in a venue of your liking. They supply all of the costumes, props, improvisational direction and videotaping and you provide a genre and the talented actors!! Choose from a variety of themes including Action/Adventure (The Jewel of the Nile), Rock Video Awards (often done as American Idol), America’s Next Top Model or your child can simply write their own movie. All movies are improvised so there is no dialogue to memorize. Movies are taped using an HD camera and as the party winds down, children will have the opportunity to watch and enjoy their performance on the TV. We enlisted Katherine Perry and “Make a Movie” for our daughter’s 8th birthday party. They made their own episode of American Idol. The kids had an absolute blast, and the kids and parents alike were totally delighted with the screening of the final product after pizza and cake! The finished DVD’s made fantastic “Thank you’s” for our guests afterwards! Highly recommend.